Shopping for Cthulhu Key Chains? Does your current key chain drive you crazy? No? 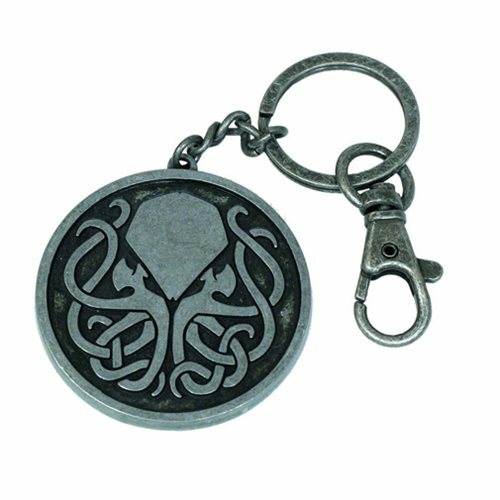 Then display your affection for the legendary Elder God with This Cthulhu Tribal Metal Key Chain features a stylized rendition of the classic menace. Measures approximately 2-inches in diameter. Ages 14 and up.